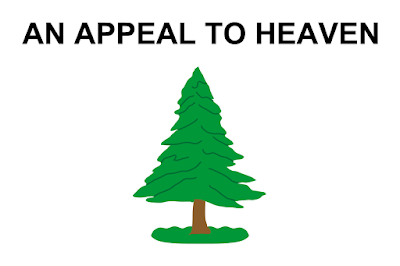 Fans of the excellent HBO Series John Adams will probably recognize this flag from the opening credits- while I think the more popular Revolutionary flag these days is probably the Gadsden Flag (the snake that says 'Don't Tread On Me') this one ranks right up there in the Revolutionary Pantheon. And that's the Pine Tree Flag! Our brown flag challenge continues next week, but until then, remember to keep your flags flying- FREAK or otherwise!